You've arrived at perhaps one of the most obscure little sites on the internet, devoted to perhaps one of the most obscure little television shows ever made. So, why should anyone care about Police Surgeon? Because it was the predecessor of The Avengers, by contrast one of the world's most popular TV series. A member of TheAvengers.TV, this site is quite small and, given the scarcity of data on such an old, short-lived series, is likely to remain that way. 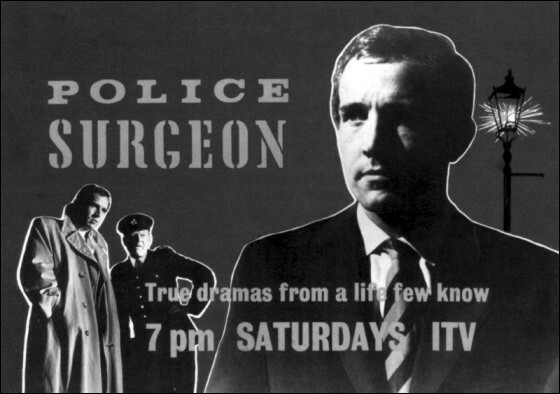 Still, its sole claim to fame—the only site devoted to Police Surgeon—will likely never be challenged, and it will hopefully prove to be the most comprehensive source of information on a sadly neglected bit of television history. Website Copyright © 2002-2017 David K. Smith. Program and images Copyright © 1960 ABC Television.